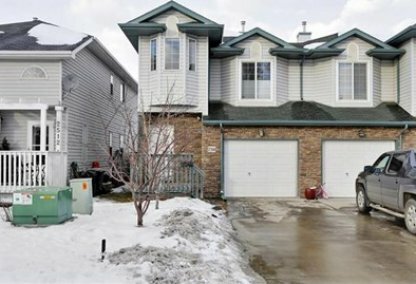 See the newest Ogden homes for sale & South East Calgary real estate listings below. The residential neighbourhood of Ogden is located in Calgary's southeast zone. With a total land area of 1.6km2, Ogden also includes the neighbourhood of Millican and Lynnwood. The community is bounded by Glenmore Trail (South), Bow River and Deerfoot Trail (West), CPR Mainline (East), and CNR Tracks (North). Discover just listed Ogden neighbourhood properties for sale now! Ogden housing market statistics: As of April 24, 2019 there are currently 30 properties for sale in Ogden listed as active, with an average asking price of $326,184. The highest-priced property is $499,999; the lowest priced property can be purchased for $182,500. Ogden neighbourhood listings have an average price of $310 per square foot, based on listings with 3.5 bedrooms, 2.2 baths, and 1,056 square feet of living space. Selling or buying a home in Ogden Calgary soon? Call Justin Havre at RE/MAX First - 403.217.0003. Our community of Ogden real estate agents will help you navigate the Ogden housing market in Calgary. Established in the year 1912, Ogden is considered one of Calgary's oldest communities. Ogden is named after I.G. Ogden, former Canadian Pacific Railway Vice President, while the Millican name originated from its early 1900s settlers, the Millican family. Alderman Gian-Carlo Carra represents the community in the city council as a member of Ward 9. With the community's long history, a number of vintage homes and establishments such as the Ogden Hotel can be found in the area. In 2006, dwellings in the neighborhood included single-detached houses (which comprised 51% of the total homes in the area), semi-detached homes, apartments, and row houses. Of the 3,665 occupied residences in the neighborhood in 2006, 2,375 were owned and 1,295 were rented. Living in Ogden provides its residents a convenient and comfortable community lifestyle with various facilities and amenities available within and nearby the neighborhood. There are several establishments within the subdivision including malls, shops, and restaurants. Residents can enjoy a number of open spaces in the neighborhood, such as the Bow Valley, and numerous parks are also visible within the area. Ogden real estate resides near Jack Setter's Arena, and an outdoor pool also offers residents several recreational opportunities. Aside from these amenities, the community association also organizes a number of recreational activities for the residents. Activities such as public skating, Jelly Bean dances, and Teen Swim are organized, as well as celebrations like Winterfest and Canada Day. The association also runs the Family Resource Center, which provides program aids to help improve the lives of community members. Thinking of buying or selling a home in Ogden? Let our local real estate agents help guide you through the purchase of your next home, or to expertly negotiate the sale of your current home. As local Ogden real estate agents, we're experts on the market dynamics unique to the Ogden real estate market. We'll get to work for you today! Contact Justin Havre at RE/MAX First - 403.217.0003 to learn more about buyer or seller representation. Planning to sell your Ogden home? 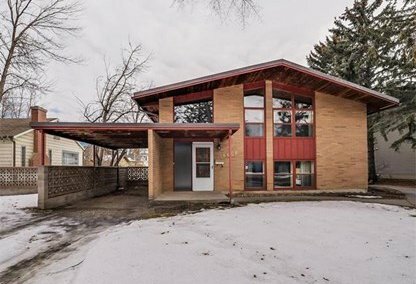 Check out our free home evaluation, where you can instantly price your Calgary home price your Ogden home online, in minutes!